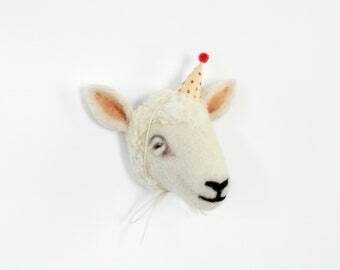 Sheep Finger Puppet. Farm Decor. Needle Felted Animal. 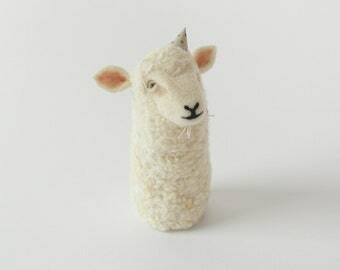 Needle Felted Sheep. Baby Shower Gift. Nursery Decoration. Sheep Gift. Felted Sheep. Fox Wall Art. Nursery Decoration. Baby Gift. Fox Wall Mount. Needle Felted Fox. Fox Ornament. Baby Mobile. Bunny Mobile. Rabbit Mobile. Baby Shower Gift. Baby Crib Mobile. Felted Mobile. Nursery Decor. Bunny Themed Nursery. Baby Mobile. Shrimp Mobile. Hanging Mobile. Baby Shower Gift. 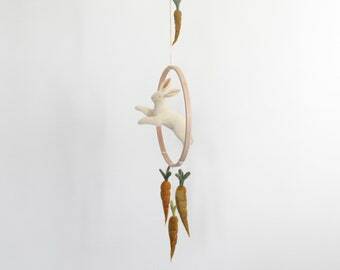 Felted Mobile. Nursery Decor. Shrimp Mobile. Announcement Needle Felted goods by Jocelyn Gayle. Thank you for visiting my shop! Please feel free to reach out to me if you have any questions! Please keep in mind that although these pieces can be used to interact with children of all ages, they are handmade pieces of art and not rough and tumble toys! They make beautiful display pieces for a child's room, but are not intended to be used as toys for children. My animals are also each one of a kind pieces. The piece you receive will vary slightly from the piece listed on Etsy. I put a ton of love into each one, hand dying them and felting them into a little creation with a personality! This process takes time, so please allow 2-3 weeks for me to get your order in the mail to you. Creations come wrapped in their very own PetitFelts gift box. All of my items are copyrighted by PetitFelts, please do not reproduce. Needle Felted goods by Jocelyn Gayle. Baby Mobile. 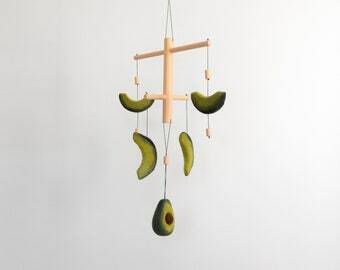 Avocado Mobile. Hanging Mobile. Baby Shower Gift. 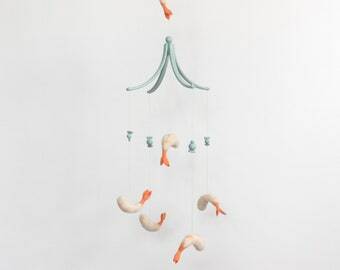 Baby Crib Mobile. Felted Mobile. Nursery Decor. Avocado. Baby Mobile. Strawberry Mobile. Hanging Mobile. Baby Shower Gift. 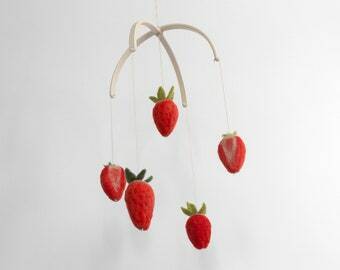 Baby Crib Mobile. Felted Mobile. Nursery Decor. Strawberry. Rabbit Wall Art. Nursery Wall Art. Rabbit Wall Art. Bunny Baby Shower. Needle Felted Rabbit. 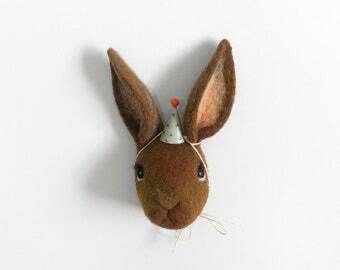 Rabbit Ornament. Sheep Wall Art. Needle Felted Sheep. Nursery Decor. Sheep Ornament. Fox Sculpture. Needle Felted Animal. Nursery Art. 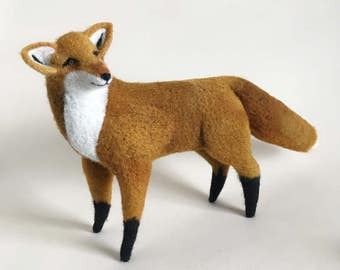 Needle Felted Fox. Fox Decor. Woodland Decor. Felted Animal. 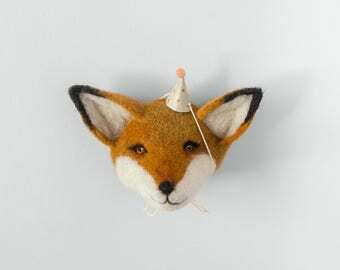 Fox Finger Puppet. Narwhal Finger Puppet. Needle Felted Narwhal. Ocean Decor. Nursery Decoration. Narwhal Art. Baby Shower Gift. 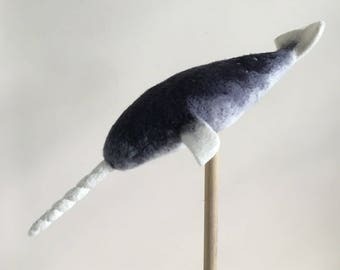 Felted Narwhal. Giraffe Finger Puppet. Giraffe Decor. Safari Decor. Needle Felted Animal. Safari Themed Nursery Decor. 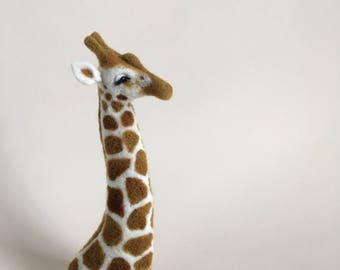 Needle Felted Giraffe. Baby Shower. 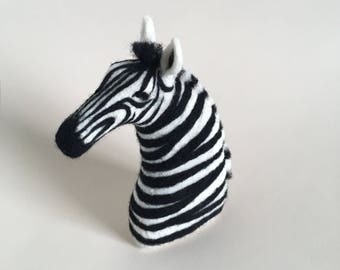 Needle Felted Zebra. Needle Felted Animal. Safari Decor. Nursery Decor. Felted Zebra. Chimp Wall Art. Chimp Decor. Nursery Decoration. Chimp Wall Mount. Needle Felted Chimp. 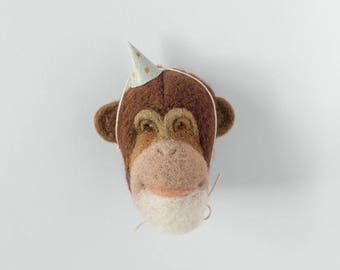 Chimp Ornament. Whale Finger Puppet. Needle Felted Animal. Whale Decor. Needle Felted Whale. Ocean Themed Nursery Decor. Whale Gift. Baby Shower. Birthday. Needle Felting Kit. Strawberry Felting Kit. Felt Craft Kit. DIY Needle Felting. Craft Gift. Craft Kit. Tiger Wall Art. Tiger Nursery Decoration. Baby Shower Gift. Baby Gift. Tiger Wall Mount. Needle Felted Tiger. Tiger Ornament. Raccoon Wall Art. Raccoon Decor. Nursery Decoration. Raccoon Wall Mount. Needle Felted Raccoon. 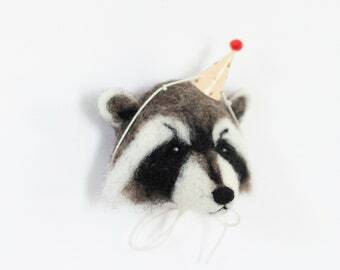 Raccoon Ornament. Baby Mobile. Watermelon Mobile. Hanging Mobile. Baby Shower Gift. Baby Crib Mobile. Felted Mobile. Nursery Decor. Watermelon. 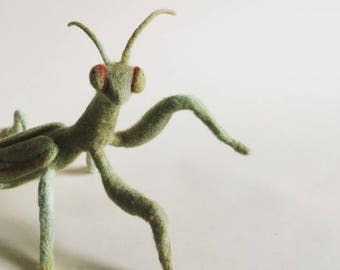 Needle Felted Praying Mantis. Insect Art. Praying Mantis Gift. Felted Praying Mantis. Felted Insect. Trout Sculpture. Angler Gift. Trout Decor. Lake House Decor. Dad Office Art. 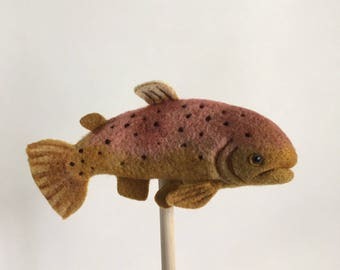 Needle Felted Trout. Fish Gift. Fisherman Gift. Trout Gift. 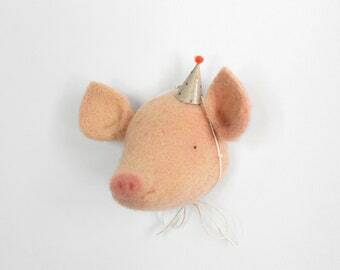 Pig Finger Puppet. Needle Felted Animal. Pig Decor. Farm Themed Decor. 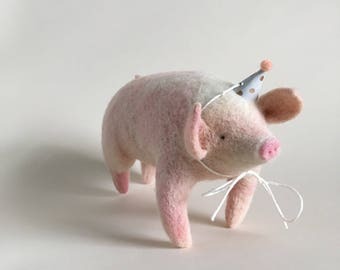 Needle Felted Pig. Nursery Art. Unique Baby Gift. 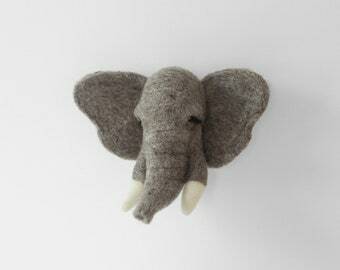 Felted Animal. Bluebird Finger Puppet. Birdwatcher Decor. Needle Felted bird. Bluebird Gift. Bird Gift. Birdwatcher Gift. Felted Bluebird. Felted Bird. Armadillo Finger Puppet. Needle Felted Armadillo. Texas Themed Gift. Needle Felted Animal. Nursery Art. Felted Armadillo. Felted Animal. Swan Finger Puppet. Swan Decor. 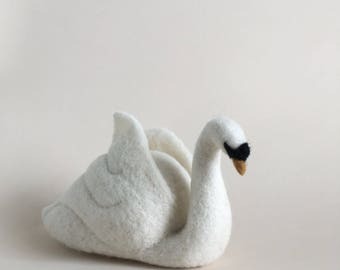 Needle Felted Swan. Nursery Decor. Unique Baby Gift. Wedding Gift. Swan Baby Shower. Felted Swan. Horse Finger Puppet. Horse Decor. Needle Felted Animal. Country Decor. Needle Felted Horse. Equestrian Decor. Unique Baby Gift. Nursery Art. Baby Mobile. Bunny Mobile. Hanging Mobile. Baby Shower Gift. 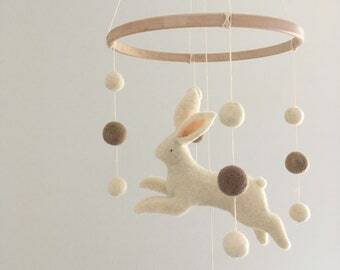 Baby Crib Mobile. Felted Mobile. Nursery Decor. Bunny Themed Nursery. Needle Felting Kit. Whale Felting Kit. Felt Craft Kit. DIY Needle Felting. Craft Gift. Craft Kit. Finger Puppet Kit. 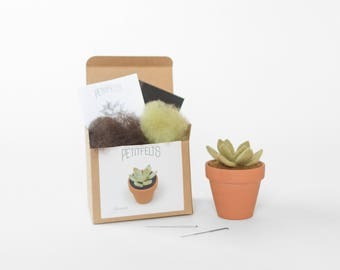 Needle Felting Kit. Succulent Kit. Succulent. Felt Craft Kit. DIY Needle Felting. Craft Gift. Craft Kit. 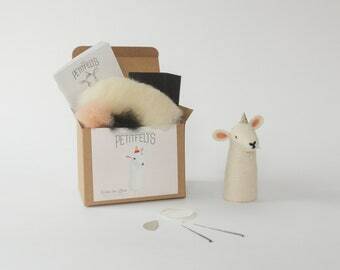 Lamb Needle Felting Kit. Felting Kit. Needle Felting Kit. Felt Craft Kit. DIY Needle Felting. Craft Gift. Finger Puppet Kit. 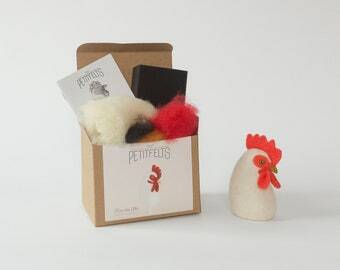 Hen Needle Felting Kit. Felting Kit. Felt Craft Kit. DIY Needle Felting. Craft Gift. Make Your Own Animal Kit. Hen Felting Kit. Nursery Wall Art. Leopard Wall Mount. Leopard Baby Shower. Needle Felted Leopard. Leopard Ornament. Penguin Finger Puppet. 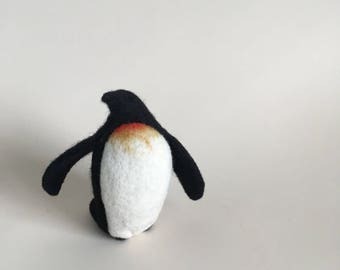 Needle Felted Penguin. Penguin Themed Nursery. Penguin Decor. Penguin Gift. Nursery Decoration. Felted Penguin. Goat Finger Puppet. Farm Themed Nursery Decor. 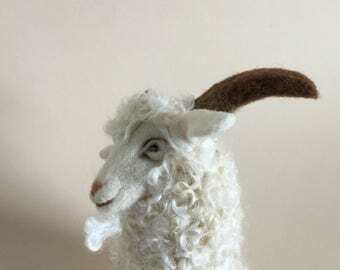 Needle Felted Goat. Goat Gift. Nursery Art. Baby Shower Gift. Felted Goat. Felted Animal. Jocelyn crafts each of her pieces by hand dying wool and using a technique called needle felting. The process involves tangling the fibers of wool with a barbed needle in order to create wool sculpture. Jocelyn Gayle Krodman is an artist living and working in Kingston, NY. She created her brand, PetitFelts, in 2011 and since then she has made it her goal to create high quality, unique needle felted pieces. Thank you for visiting my Etsy shop! Please visit my Profile page to learn more about me and my work. I craft all of my items by hand according to my own designs. Please note that all designs are copyright ©2011 Jocelyn G. Krodman. You may not reproduce the photographs, text, or designs herein without express written permission. All rights reserved. I want you to be a happy, satisfied customer. If you are not satisfied with your item, please contact me via e-mail to arrange an exchange. Items must be returned via trackable carrier in original packaging within seven (7) days of receipt. I am not responsible for items lost or damaged in transit. Exchanges only - sorry, no refunds. I accept PayPal and appreciate your prompt payment. Orders for which payment is not received within 48 hours are subject to cancellation. For non-USA destinations, please contact me. Please note that once your order is shipped, I am not responsible for loss or damage. If you would like to insure your items, please contact me and I will issue a revised invoice. I will ship your order to the address specified in your Etsy order. Please ensure that your PayPal address matches. Items are made to order, so please allow 1-2 weeks for me complete your order and get it in the mail to you. I appreciate your patience!